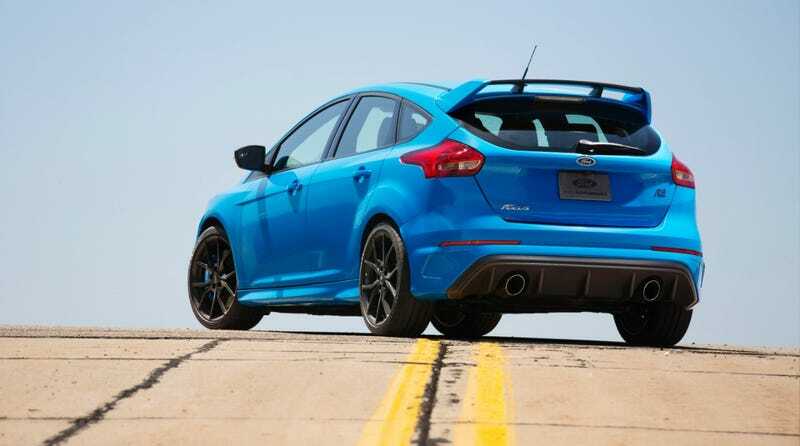 The 2016 Ford Focus RS will hit U.S. dealerships this spring, but if you want to get one early to race Matt Farah, it won’t hurt if you hurry as pre-orders are going strong on both sides of the ocean. The new RS is one of 12 performance vehicles Ford will put on a market through 2020, and the robots responsible for this drift machine just got busy at their plant in Saarlouis, Germany. While they still won’t say how many of these 350 horsepower all-wheel drive hatchbacks are allocated for the American market, Ford has every reason to believe they can sell as many as they build, because Americans bought more ST Fords in 2015 than the year before, and the RS has such strong selling points as 350 pound feet of torque, a button for controlled oversteer drifts and launch control, all wrapped in a practical family car’s body.